Blogger has been one of the fear most platform for blogging this days, and with their beautiful system of hosting for free, a lot of people has taken interest in creating blogs with them. Today, i will be discussing in convincing ways on why you need to start a blog under Blogger platform. therefore, i’ll advice you fasten your belt and lets take a ride towards the direction of our discussion. Blogger is not new to most people this day. It is a blogging platform that first ruled before wordpress started taking the charge now. If you don’t know, I will tell you that you wordpress is really shooting up and most people are moving to it. Blogger is a great blogging platform in which a lot of bloggers like mybloggertricks have find solace. It was started by Google Inc. and millions of users are enjoying its offer because of the free services. These free services include free “.blogspot.com” sub-domain and web-hosting. Using blogger is such a very easy thing and its 100% free. All you just need to get started is a Google account, and then sign up for blogger. Just like that was the statement a friend of mine told me when I helped her to open her blog. When you compare blogger platform with all other platforms and software, I’ll tell you that blogger is easier and friendlier to use. 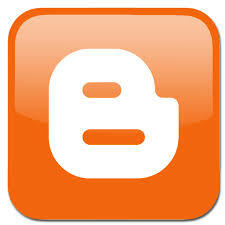 Do you know there is no special stuff or any technicality in using blogger platform? Moreover you can post via email, interesting right? And also by using blogger App on smartphones like iPhones etc. Just too many of them, which are also mobile optimized. The main reason why I will recommend blogger is that there are lots of professional looking templates for you to use and which are free with no cost. All it required of you is to download and upload those templates into your blog, and then you are good to go. In blogger platform, we have thousands of widgets available for blogger in which if you ceate a blog today, anyone will find it very hard to believe you that you just created it because of the attractive and professional looking widgets. Following are some “Must Have” widgets to add to your blog, check’em out. Honestly, this is no joke at all. Blogger blogs are very great when it comes to SEO terms. And with my own personal experience, then I can say blogger blogs get indexed by Google in a very short term, compare to other platform. I think this is a very good news for the newbies who intend creating a blog with blogger platform, because the first step in SEO is getting your blog indexed by search engines like Google and the rest. Blogger platform is so convenient for new users because it is hosted on Google’s server and you don’t need to get another we host. I think this point should be for the main time anyway, because it’s always advisable to be in charge of your own blog. So sure that pictures and videos of your blogs are hosted on Google servers, so you don’t need to waste money on buying any web space again. Blogger blogs are hosted on Google’s servers, and you don’t need to have a web-host at all. Pictures and videos of your blogs are hosted on Google’s servers. No need to invest money to buy web-space. I believe in any part of this world, this point is the same. Google has the best server so far, and now you having your blog and images within your blog hosted on Google’s server is the best thing you could ever do because it’s very safe. I also want you to be informed that Google’s servers are very fast with almost the speed of light in it response, and you can always be sure of it at any time. Previous articleHow Do I Get Started With Blogging? Next articleWhat next, After Creating A Blog?